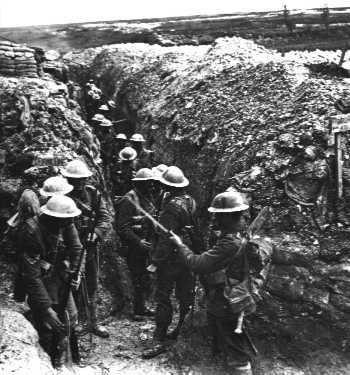 British troops on their way to the front. 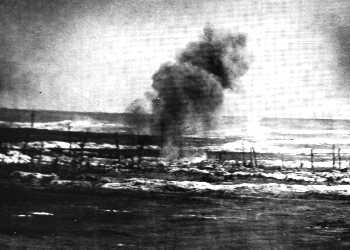 Jun-1916. 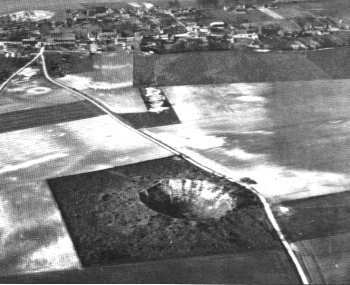 Lochnagar mine crater outside of La Boiselle as it appears today. It was created by 27 tons of explosive on the morning of 1-Jul-1916. 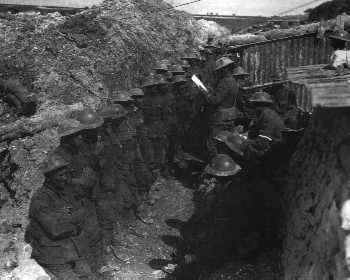 The German trenches at La Boiselle under British artillery bombardment. 1-Jul-1916. Zero minus 10. 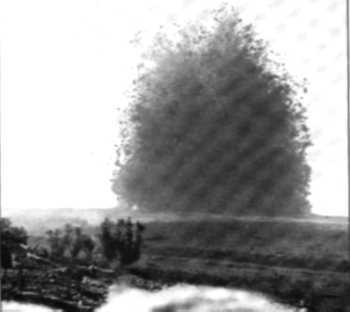 The mine under Hawthorn Redoubt detonates. 1-Jul-1916. 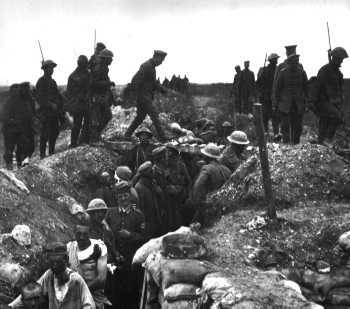 Preparing to "hop the bags" outside Beaumont Hamel. 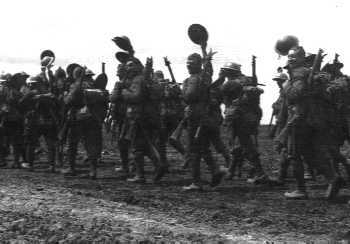 1st Battalion, Lancashire Fusliers. 1-Jul-1916. 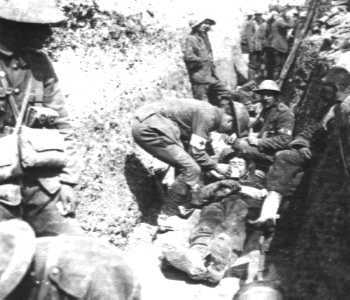 Tending the wounded of the 1st Lancashire Fusliers. 1-Jul-1916. 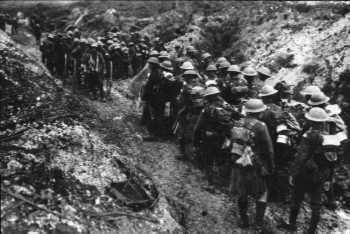 The remnants of the 1st Lancashire Fusliers at roll call 2-Jul-1916. 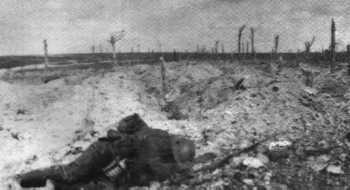 The devastation of Delville Wood. 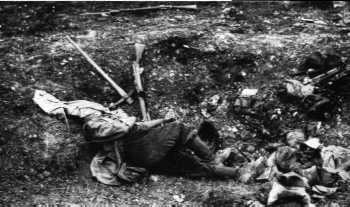 Sep-1916. 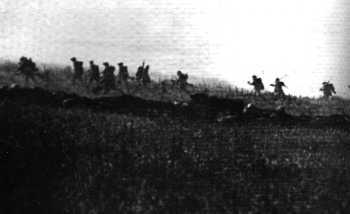 The Tyneside Irish Brigade attack at La Boiselle. 1-Jul-1916. 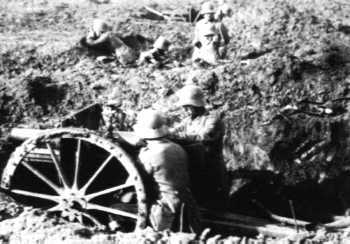 German gunners returning fire with a captured Russian 7.62cm gun. 1-Jul-1916. Evacuating an early casualty. 1-Jul-1916. 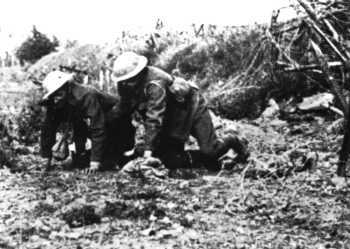 Removing a wounded soldier at Beaumont Hamel. 1-Jul-1916. 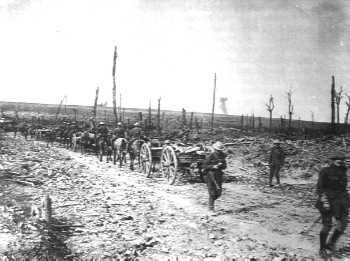 Foot traffic on the sunken road outside of La Boiselle. 1-Jul-1916. Abandoned German trench at Beaumont Hamel. 1-Jul-1916. The results of artillery bombardment. 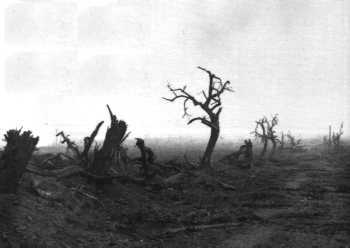 The once tree lined road to Guillemont. Aug-1916. The wood outside Thiepval. 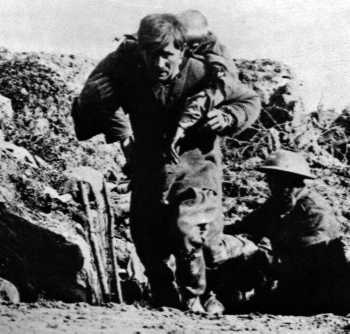 Sep-1916. 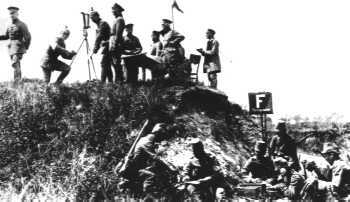 General Fritz von Below's field headquarters. Jul-1916. 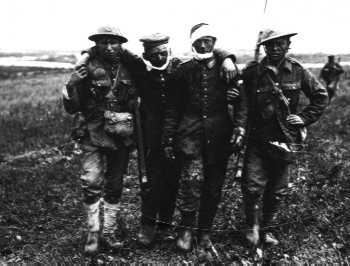 British assisting wounded German prisoners. 3-Jul-1916. The 10th Worcesters bringing in prisoners. 3-Jul-1916. 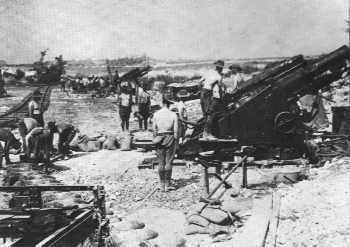 The Royal Australian Battery manning 9.2in Mark VI howitzers. Jul-1916.